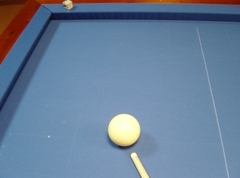 The appreciation of the direction of the cue ball after the stroke is not easy. 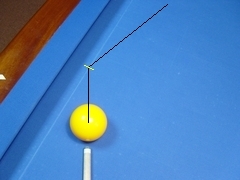 It's because the angle formed initially by the 3 balls on the table is not the real direction angle. 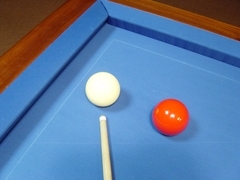 Before taking its final direction, the cue ball always stops a ball before the played ball. The angle of direction to be appreciated is the one formed by the cue ball in contact with the played ball and the third ball. 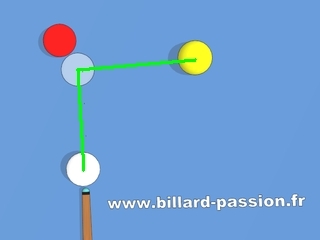 This 4nd ball is called 'the ghost ball'. 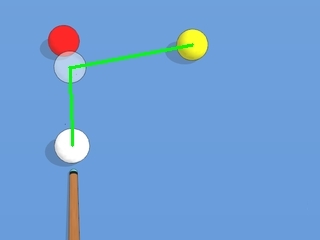 Thus, you can visualize the real angle of direction. 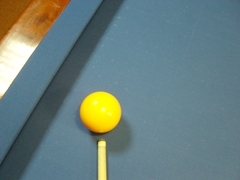 The angle is larger in degrees ( we say obtuser ) than the angle formed by the 3 balls on the table. I see a rigth angle ? It is an obtuse angle. 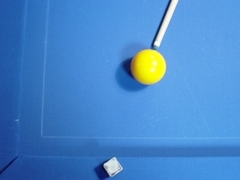 I see an acute angle ? 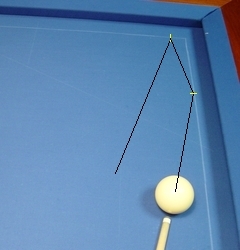 It is a right angle ! 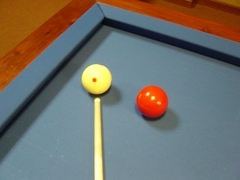 The real angle of direction to be appreciated for the bounces is the one formed by the direction taken by the cue ball and the cushion. 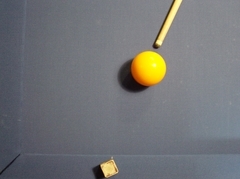 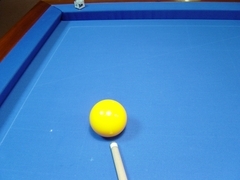 Note that when touching the cushion the center of the cue ball is at a radius distance from the cushion itself. 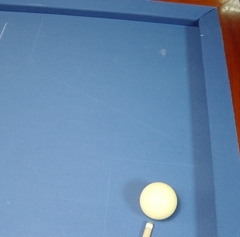 To have a good vision of the bounces, all you have to do is to draw a line ( with a chalk pen ) along the cushion, at a radius distance from it. For every bounce, we can now estimate a point of this line corresponding at the center of the cue ball touching the cushion. 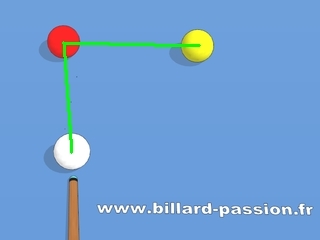 U can go on the main page of this website to see the last videos about billiard technic.